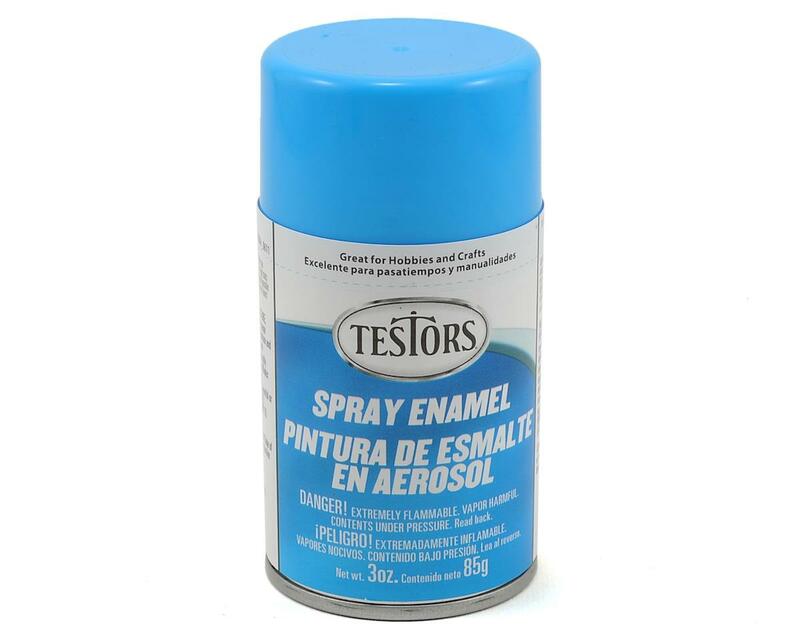 This is a 3oz can of Testors Light Blue Spray Enamel Paint. These Model Master hobby enamels for cars are deep, rich, contemporary colors specifically selected for today's cars and trucks. Many are semi-transparent pearlescents, and by altering the base coat, a modeler will be able to achieve subtle color variations and tones.